Romantic pink wedding crowns, Greek stefana handmade with dried baby's breath (gypsophila), pink and white fabric flowers, pink pearls and pink beads. Tied together with a white organza ribbon. 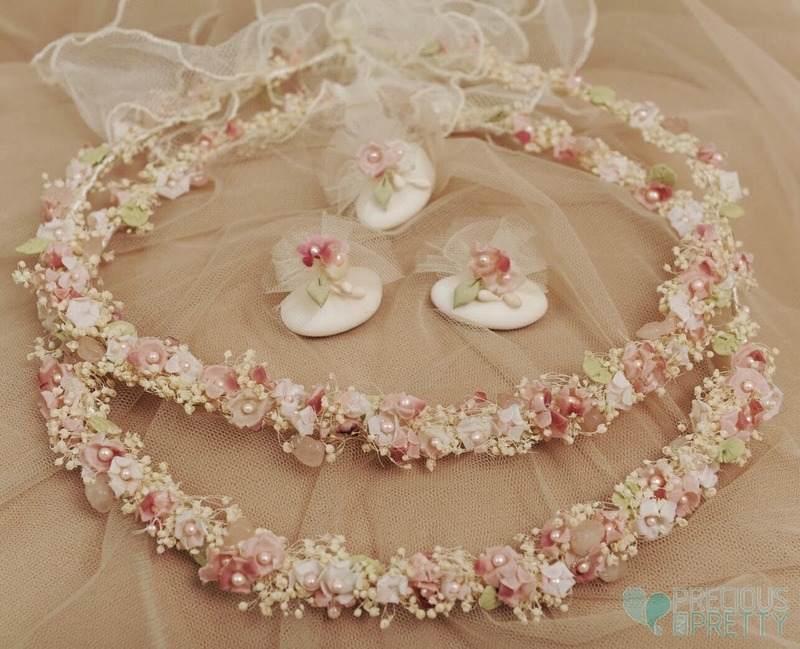 https://www.preciousandpretty.com/2019/01/pink-flower-crowns-for-weddings-1071.html Greek Wedding Favors|Orthodox Crowns|Stefana|Baptism Invitations Pink flower crowns for weddings 1071 Pink flower wedding crowns with baby's breath anf flowers made in Greece Product #: Greek Wedding Favors|Orthodox Crowns|Stefana|Baptism Invitations_4614543946209110495 5 stars out of 5 reviews.